These Legacy Isle Publishing authors will be attending their first Hawaii Book & Music Festival next weekend, May 3 & 4, at Honolulu Hale. Come down and support them! Author Frances Kirk, The Society of Seven: Last of the Great Show Bands, will lead a panel discussion on the famed entertainers, with co-panelists John Berger (Honolulu Star-Advertiser) and Brickwood Galuteria. Books available at the Watermark Publishing/Legacy Isle tent all weekend. Author Norman Osumi will host a tent of his own, offering Today’s Thought—Rev. Paul Osumi: The Man & His Message, at a special Festival price of just $15 (regularly $17.95), which includes a complimentary gift-wrapping option (just in time for Mother’s Day!). In addition, Norman will have copies of Rev. Osumi’s previous books, Today’s Thought, Volumes 1 and 3 (2 has completely sold out) for $3 each. Today’s Thought also features many of the inspirational speeches delivered by Rev. Osumi during his tenure at churches in the Gila Relocation Camp, where he and his family lived during World War II, and on Kaua‘i, the Big Island and O‘ahu. Photographs and letters from the Osumi family’s personal collection add a depth and intimate dimension to this profile of a quiet man who influenced so many. Rev. 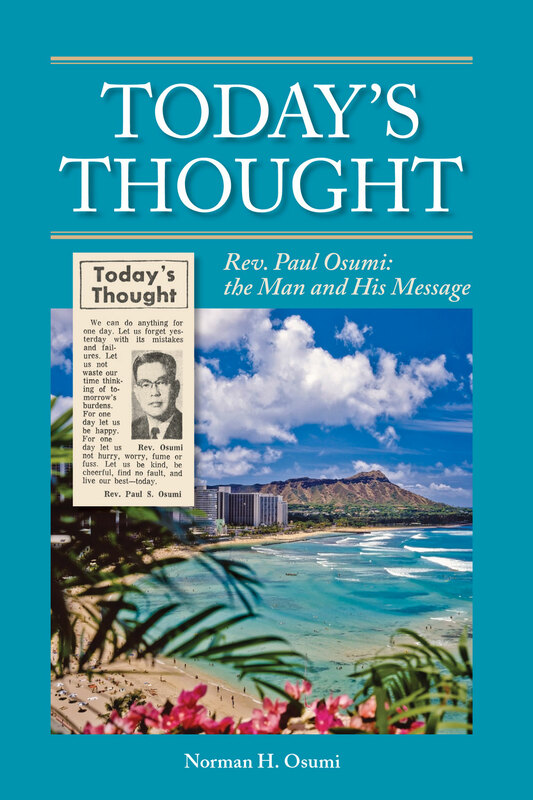 Osumi’s “Thoughts” resonated with people of all faiths and even those with no religious affiliation, speaking to his universal message of leading a positive, meaningful life. Today’s Thought—Rev. 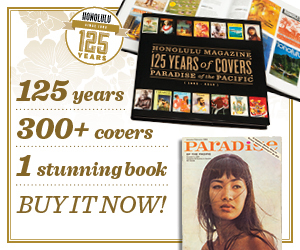 Paul Osumi: The Man & His Message is priced at $17.95 in softcover and will be available for purchase beginning September 15 at local bookstores, the Japanese Cultural Center of Hawaii gift shop, Logos Bookstore of Hawaii and online direct from Legacy Isle Publishing. Community Gallery on Saturday, Aug. 24 from 1 to 4pm. Mr. Osumi will share his thoughts behind writing this book about his late father. Advance copies of Today’s Thought—Rev. Paul Osumi: The Man & His Message will be available for purchase at the event, ahead of general release to the public.